Natrolite crystals. Slender crystals of the mineral natrolite (white) in their phonolite host rock (grey). Natrolite (hydrated sodium and aluminium silicate) is a tectosilicate that belongs to the zeolite group of minerals. 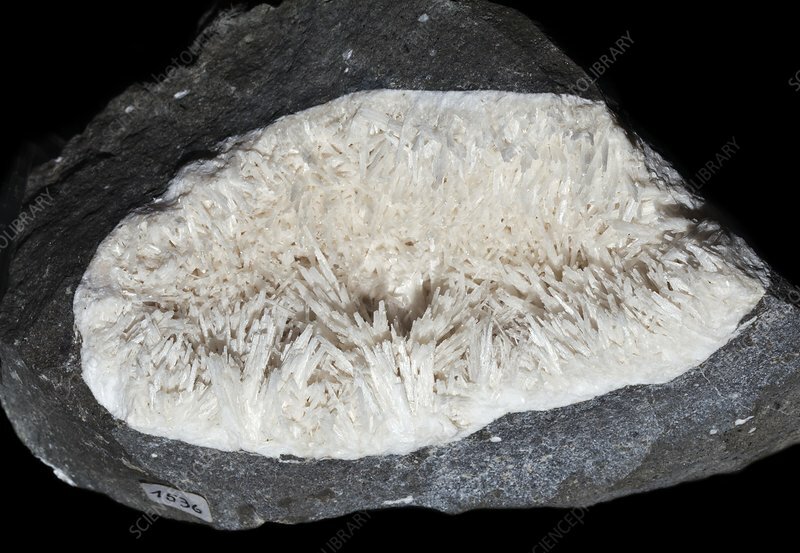 Like most zeolites, natrolite occurs in cavities or open cracks in rocks. Phonolite is a rare extrusive volcanic rock. This sample is from the Ore Mountains, Germany, and measures 150mm wide.